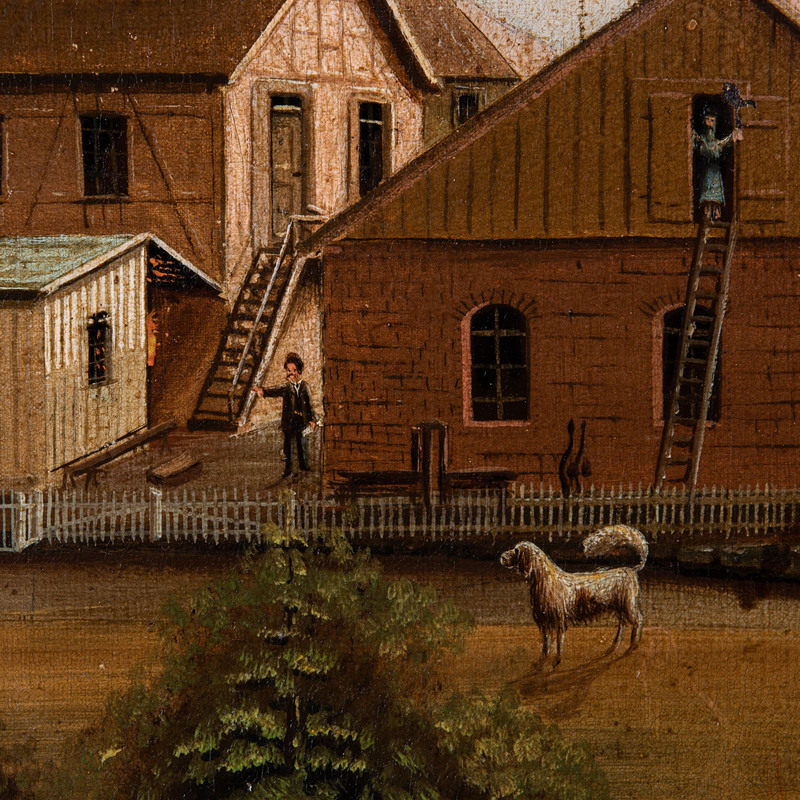 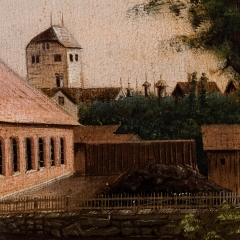 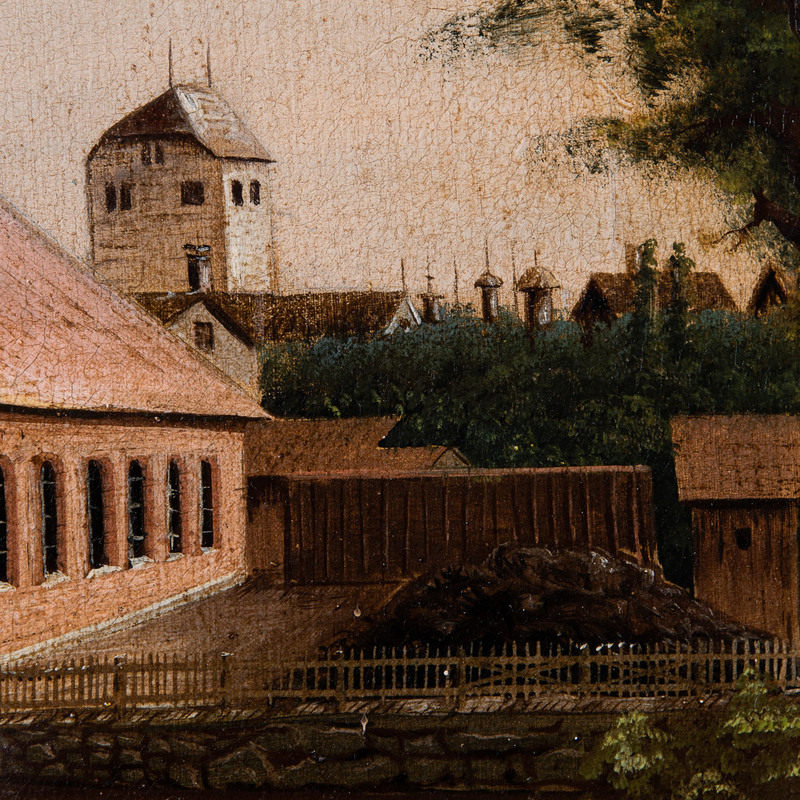 This beautifully executed folk art painting is typical of the work of artists from Germany and Northern Europe, who depicted their homes and businesses in detailed paintings of everyday life, often including people and animals. 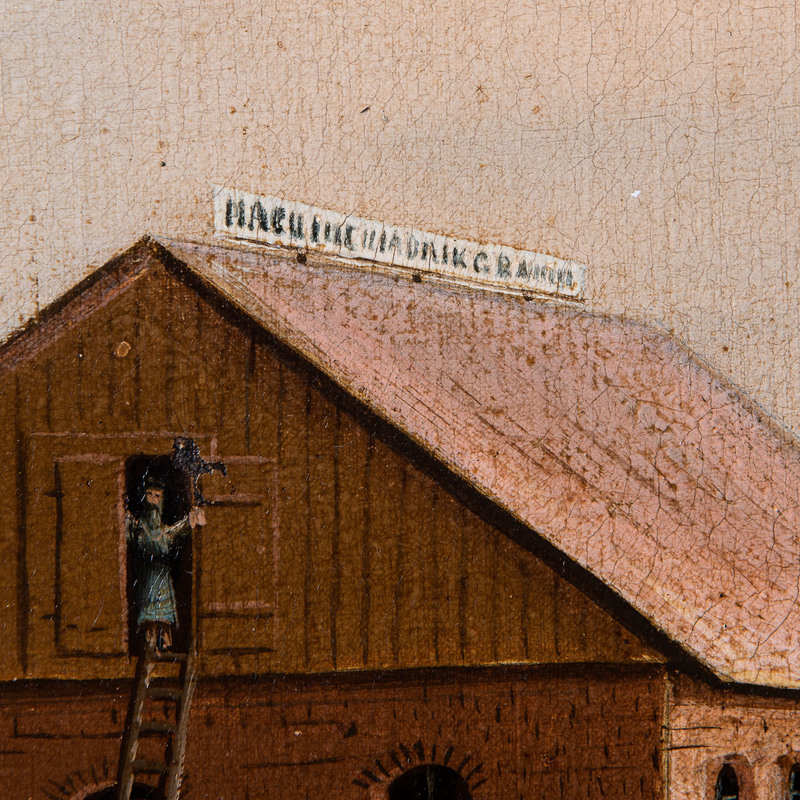 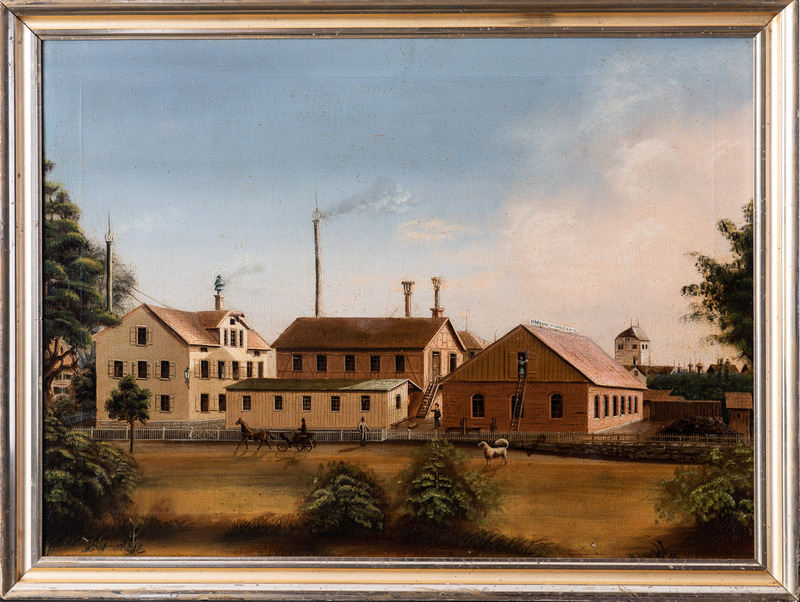 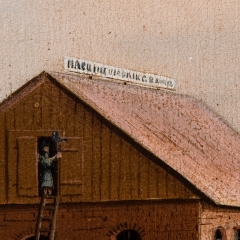 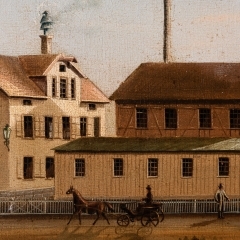 This particular example appears to be a factory complex, complete with a sign on the building. 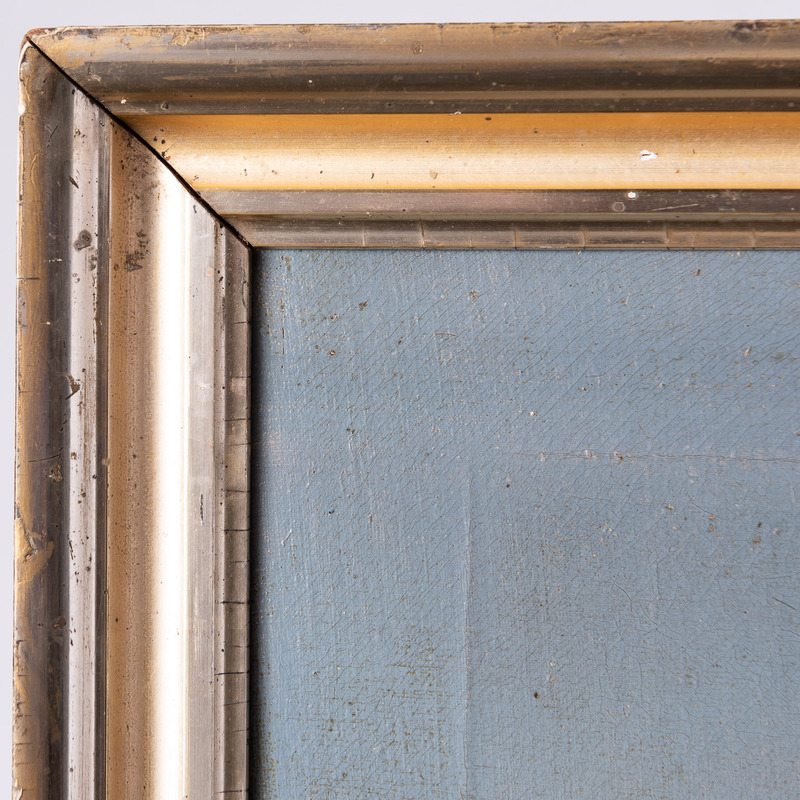 It is offered in a 19th century giltwood frame. 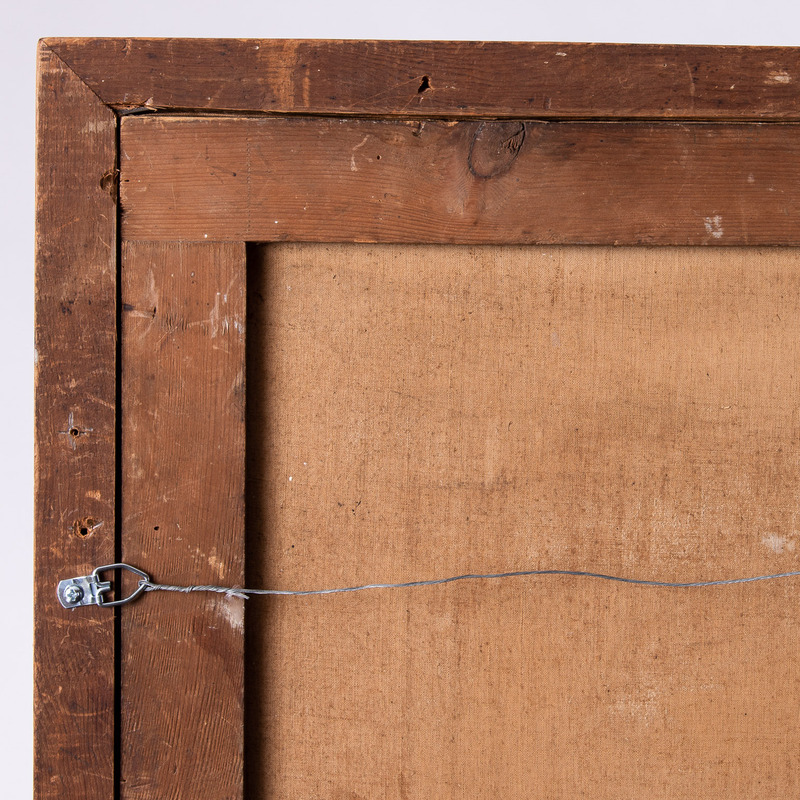 The canvas is in good condition.